There is nothing better on a cold day than to cozy up with an nice bowl of soup. 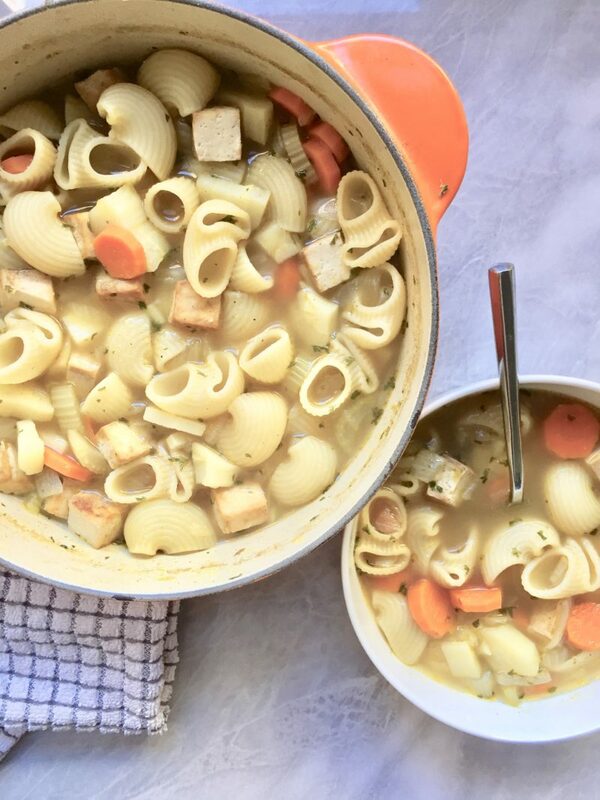 Prior to going Vegan, chicken noodle soup was a favorite of mine. I basically grew up on it since my grandmother made it every time I would go to her house. When it hit me that tofu could potentially be a great chicken substitute, I knew that I needed to do this recipe. This is the only soup that I will eat chunky and is so warm and cozy. I am not huge on soups, but this is definitely the exception. It brings back so many childhood memories and is so hearty from all the vegetables, noodles and tofu. I hope you enjoy this recipe and remember if you make it to tag me on Instagram @plantbasedjane so I can see! In a bowl, combine tofu and seasoning. Let sit until Oven is preheated. Put Tofu on sheet lined with parchment paper. Cook for 10 minutes, flip and cook for another 12 minutes. Heat soup pot on medium heat with olive oil and add all of your veggies. Let cook for 5-6 minutes, or until onions are slightly brown. Add in your poultry seasoning, garlic powder and pepper and let cook for 1-2 minutes. Then, add in your vegetable broth and let come to a boil. Once it comes to a boil, add in your pasta. Reduce to medium heat and let cook for 10 minutes (or when pasta is done). When pasta is cooked, add in tofu and let cook for another minute. Add salt for seasoning and take off heat. 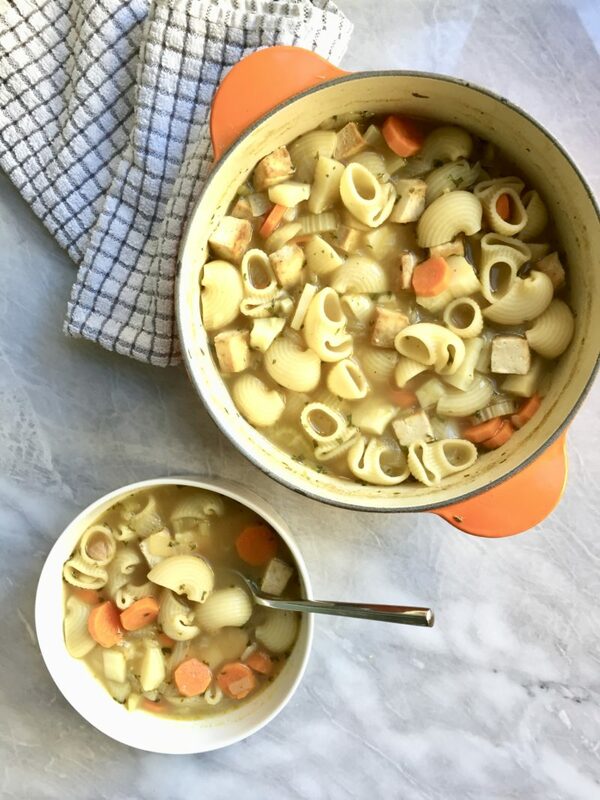 This soup is amazing and so easy to make. Great recipe!